I am going to be honest, please don’t judge, I do not like Cadbury Eggs. I never really have and I am not really sure why even. It is odd, I know. I like pretty much anything that includes chocolate or a fair amount of sugar. 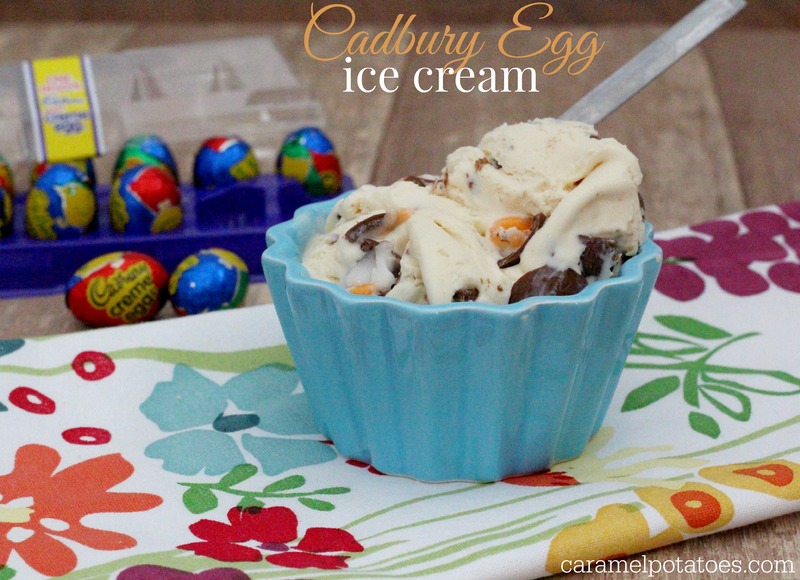 However, I LOVE LOVE LOVE this Cadbury Egg Ice Cream. Another true confession, I hid it in the back of my freezer so my kids wouldn’t find it. I secretly ate it after they went to bed. I know, so rude. So, fair warning if you are going to actually share this ice cream you may want to double it. In a large bowl, whisk together the cream, milk and vanilla together until well combined. Begin freezing according to your ice cream maker manufacturer’s instructions. About half way through the freezing process, add the Cadbury Eggs and continue freezing. For a firmer ice cream place in the freezer in an airtight container. I don’t like Cadbury eggs either.